a fine recently renovated traditional folk house, nearly 150 years old, with a chilled and relaxing atmosphere run by a family who have travelled all over the world.  Coming to ZION will be your best decision throughout your stay in Mimasaka city. Located in Higashiawakura district, the northernmost part of Mimasaka city, we are just 5 minutes away by car from the nearest train station (Ohara Station) and close to Tottori Freeway with an easy access to Kyoto, Osaka, Kobe, and Tottori by bus or rental car. Old Higashiawakura Village (which is now part of Mimasaka city) is well known for its catch phrase as "Ai-no-Mura" literally meaning "Village of Love" and is surrounded by sacred mountains where monks practiced in ancient time. Ushiro-yama, the mountain surrounding the village is the highest mountain in Okayama prefecture, and is one of the holy and spiritual mountains in Japan. "Ai-no-Mizu" (literally meaning "Water of Love"), the natural spring water from this area is loved by many, and people from other cities drive hours for this water. Our neighborhood is very quiet and surrounded by rice paddies and mountains. You can enjoy the day time relaxing in the cozy house or have a nice walk and interact with locals, and enjoy the starry night sky. Please come and experience the real Japanese village life, see different part of Japan and discover what you wouldn't find in guide-books, online, or all those "already-discovered" tourist areas. 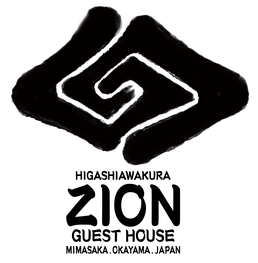 Come and join the ZION family where you can connect with the outside world with our free Wi-Fi and feel at home hanging out in our nice and comfortable living room, spending chilly nights in from of our beautiful "Irori" (traditional hearth), roasting marshmallows, chatting and meeting like-minded travelers and drinking local-brewed sake together, cooking your own meal in the fully equipped kitchen, enjoying the sunshine in our huge garden, watching movies on our projector screen, playing guitar of just relaxing and sharing your stories. We know exactly how to help you enjoy your trip, because like you, we are travelers too. ZION Guest House is not only an accommodation. It is your home with our family. This is the ideal place for travelers to relax after days in big cities, seeking the true spirit of beautiful "Inaka" (countryside) of Japan where people live in harmony with nature. Our family-run accommodation makes you feel the warmth and welcome of Japanese hospitality. We ask all guests to come as friends, and leave as family. We look forward to meeting you and welcoming you into our beautiful home! !